Geography is the study of the earth’s landscapes, peoples, places and environments. It is, quite simply, about the world in which we live. At Christleton we aim to develop student’s interest and curiosity in the world around them by using stimulating resources and allowing students to participate in fieldwork at all levels. When can I study Geography? Geography not only develops subject knowledge but allows students to develop skills, make informed decisions about a range of issues and consider sustainable options for the future. In Key Stage 3 students have 3 hours of Geography per fortnight and study an assortment of physical, human and environmental topics ranging from investigating Super Volcanoes and Raging Rivers through to Extreme Weather events, the Development and Conflict in the Middle East and becoming Adventure Geographers. All Year groups are able to experience Field Work outside the classroom with trips ranging from investigating the creation of Honey pot sites in the Snowdonia National Park through to discovering how Glaciers have shaped our Natural Environment. Students can choose to study Geography at GCSE level in Years 10 and 11. 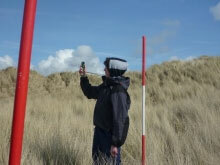 The specification followed is AQA, which covers both human and physical geography and geographical skills. Fieldwork is an essential element of this course and students will experience a range of both human and physical fieldwork across the two years. Geography has proven to be a very popular subject across all key stages and many students continue to study Geography at university.